American manager, assistant secretary of the Navy (research and development) 1959-1964. 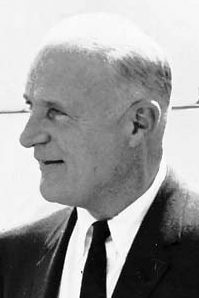 James H. Wakelin, Jr. was assistant secretary of the Navy (research and development) from 1959-1964. He had previously served in various capacities as a research director and administrator and later became president and chairman of the board of Research Analysis Corp.
Country: USA. Bibliography: 535, 6172. 1911 May 6 - . Birth of James H Wakelin - . Nation: USA. Related Persons: Wakelin. American manager, assistant secretary of the Navy (research and development) 1959-1964..
1990 December 21 - . Death of James H Wakelin at Washington, District Of Columbia, DC. - . Nation: USA. Related Persons: Wakelin. American manager, assistant secretary of the Navy (research and development) 1959-1964..